When it comes to paper for packaging, Mohawk doesn’t get the attention they deserve. Mohawk Fine Papers has been in business for nearly a century, and like most heritage American manufacturers, they’ve seen their share of changes. Where paper was once the one and only vehicle for printing and publishing, digital technology has displaced much of the demand for print media. Not exactly a startling revelation, we know. But what makes Mohawk unique in the business of paper is their ability to navigate and accommodate change. Mohawk isn’t combatting the digital revolution; they’re actively making it better. First, a little history. Mohawk Fine Papers was founded in 1931 on the shores of the Mohawk River. At the height of the Depression, George O’Connor took a gamble and acquired an old paper mill. The risk, it turns out, paid off. By 1946, Mohawk salesman George Morrison would make his way to Boston with a sample of a newly developed archival paper. This product impressed the Bostonian client so much, he remarked, “this is a super fine paper”. And thus, Superfine, one of the most iconic products in the business of paper, was born. According to Jessica Helfand, co-founder of Design Observer, “Superfine is to paper what Tiffany is to diamonds”. Paper goods don’t often draw comparisons to gemstones and jewelry. But Mohawk created a product so exceptional that one can’t help but appreciate the analogy. This is a lush paper with stunning versatility and infallible quality. We have a lot of casual interactions with paper in our daily routines. The sticky notes on your desk, the receipt that comes with your coffee, the bills in the mailbox. We encounter all sorts of styles, weights, and colors of paper. Superfine is something else entirely. 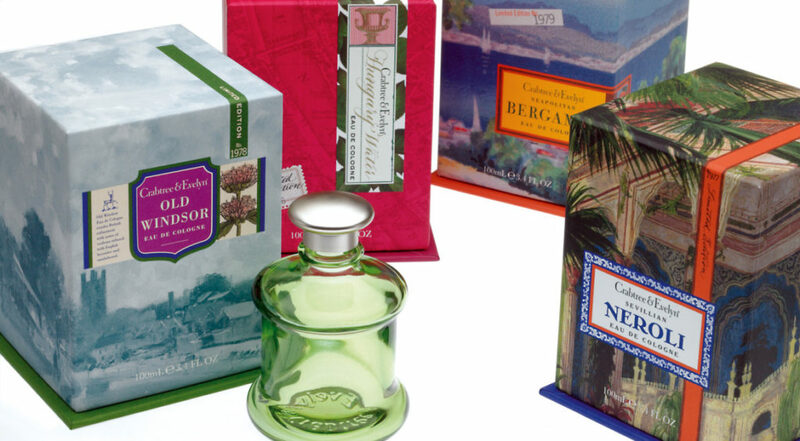 Of all the paper products available on the market, few are more beloved and widely used. Since its introduction in the Forties, Superfine has established itself as one of the few paper products that can keep up with the times. Superfine is equally suited for letterpress, offset lithography, and now is something of a phenomenon in digital print. Mohawk puts a strong emphasis on making; and by extension, makers. And whether they’re graphic designers, packaging designers, or origami masters, Mohawk has invested hugely in their resources to educate and appeal to makers working in the medium of paper. Paradoxically, this is where digital comes in. Modern designers still need to print, and for incredible depth of color and exceptional rendering of detail, many trust Superfine for their digital printing needs. Mohawk offers an astounding variety of paper products, but their legacy and indeed their success rests with Superfine. Another reason for Mohawk’s enduring success is their commitment to sustainability. As a modern paper manufacturer, sustainable manufacturing makes as much sense for the environment as it does for business. Concerned with all aspects of their operation from water to wood to energy, Mohawk implements strict standards on their environmental impact. This includes making carbon neutral products, accepting only FSC-certified paper fiber, and recycling and safely treating their operational water. In terms of what we do at Taylor Box, Mohawk has proven to be exceptional paper for packaging. 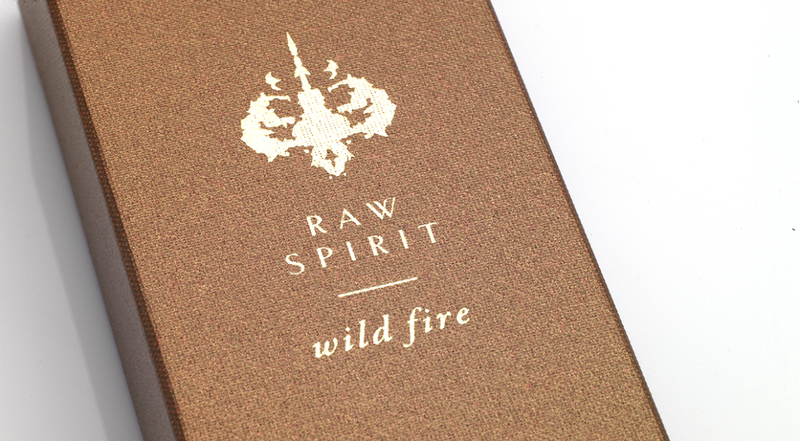 You can see the texture of Mohawk paper on this perfume box for Raw Spirit. Mohawk paper comprises the bellyband for our Holiday 2017 Box. And it’s Mohawk Superfine that wraps these beautiful base and lid boxes for Crab Tree and Evelyn. The capabilities of Mohawk paper are on full display in our work. Luscious texture, rich color, and exceptional clarity of detail through digital print. It probably isn’t mentioned enough, but Mohawk has major applications in packaging. 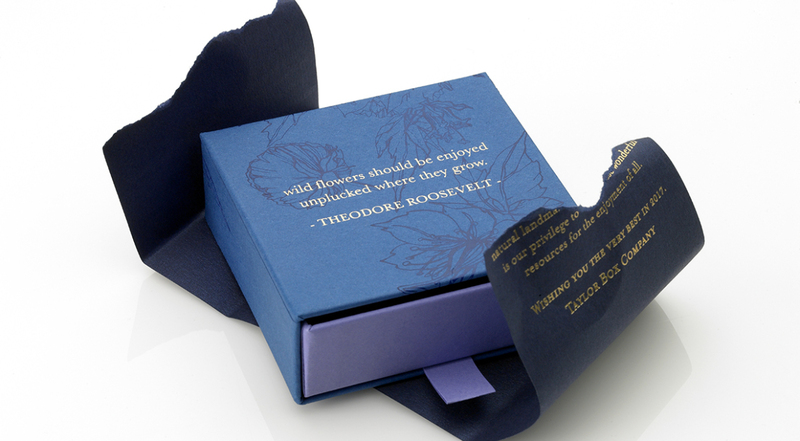 As a liner, an outer wrap, or a decorative bellyband, the addition of a tactile fine paper can do wonders to elevate the aesthetic quality of a box. At Taylor Box, we’re makers. From concept to construction, we’re responsible for making just about every aspect of our boxes. But we still need materials in order to make. And in that respect, we rely on making and maintaining superlative relationships with suppliers like Mohawk. If you’re looking for paper for packaging, it doesn’t get much better than Mohawk. Box of the Month: Cool Packaging Design for N.E.R.D.